Disney has announced the release dates for a stack of its upcoming films! Movies that will no doubt be a smash at the box office include the yet to be named Star Wars: Episode IX which has a May 24th, 2019 release date. 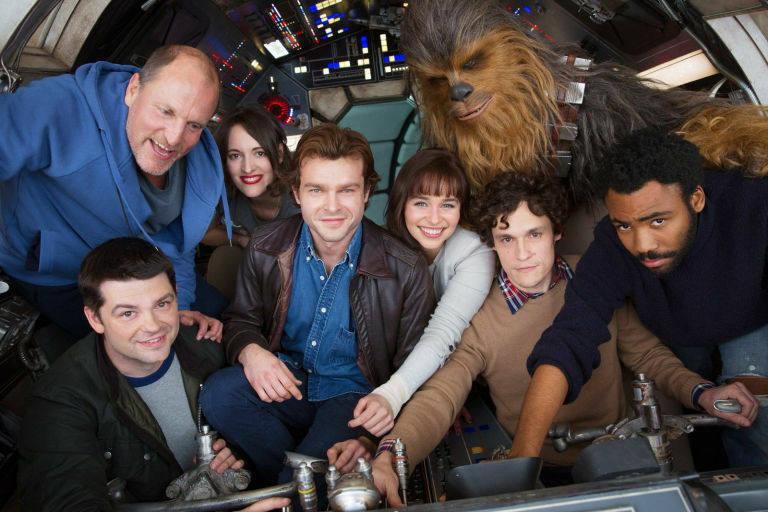 A year prior, the still yet-to-be-named Han Solo anthology film will hit cinemas starring Alden Ehrenreich. The cast of Han Solo anthology film. Source. The next couple of years will see a handful of Disney classics rebooted. The live-action remake of The Lion King, directed by Jon Favreau, is set to be released on July 19th, 2019. The much anticipated Mulan reboot set for a November 2nd, 2018 release in the U.S. This news follows 2017’s smash-hit reboot, Beauty and the Beast – why come up with new ideas when you’ve hit gold with the classics? July 10th, 2020 will see the return of Harrison Ford in the fifth installment in the Indiana Jones series. Albeit, a year later than originally planned, let’s hope it’s better than the fourth movie that we like to pretend never happened. In animated film news, and because apparently one movie wasn’t enough, the sequel to Frozen will hit cinemas (and the ears of parents with young children) November 27th, 2019. Finally, after 6 years since the release of Wreck-It Ralph, the next film Ralph Breaks the Internet will have a November 21st, 2018 release date. Just take my wallet! Source. Looks like Disney might as well take my wallet for the next few years!